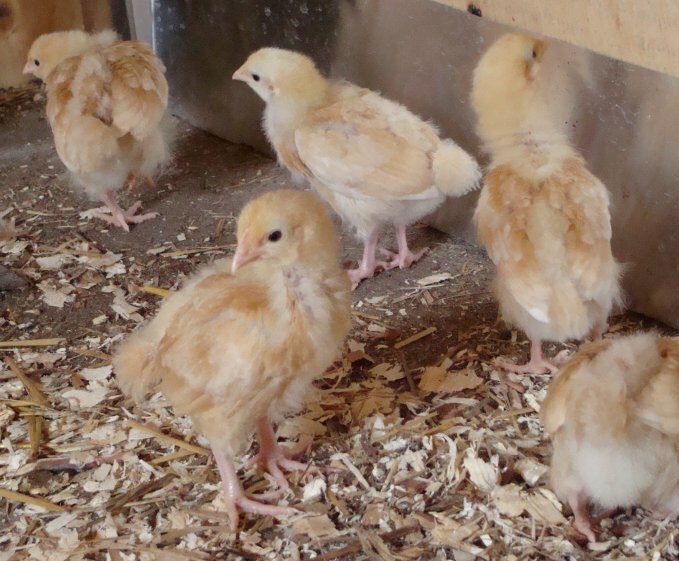 We've taken a chance and put the two-week-old chicks in with the ones that hatched this week (and their mama). So far, so good. 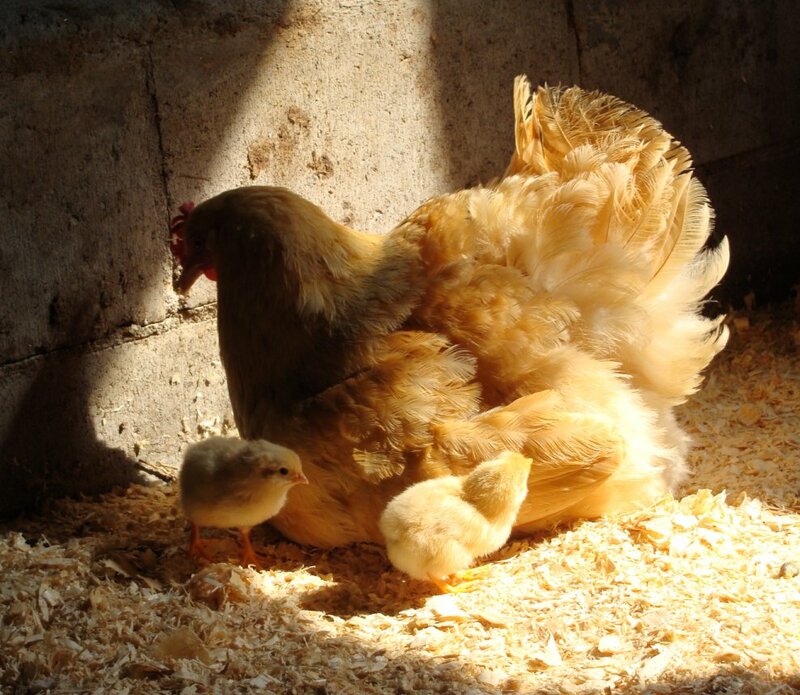 The broody and her young are keeping to one corner of the stall, while the twelve older chicks skitter about in the opposite corner, reminding me of the tiny but deadly dinosaurs in Jurassic Park. Two weeks makes a huge difference in chick development terms: it felt a bit like putting a crowd of toddlers into the same room as a newborn baby. Having the broody in the mix seems to be keeping the peace. If the hen adopts the other chicks, you've got it made! If she doesn't, I'd be concerned that she'll injure or even kill them. Hi Amanda - don't know if you can get it out in Canada - but you might be interested in a BBC programme I'm watching right now - The Private Life of Chickens - see: http://www.bbc.co.uk/programmes/b00t3tl1 They're clever old things! That does sound good. 'Not available in my area', sadly - although I did see a couple of clips. I liked the fact that chickens are the closest living relatives to Tyrannosaurus Rex. No wonder they remind me of dinosaurs!